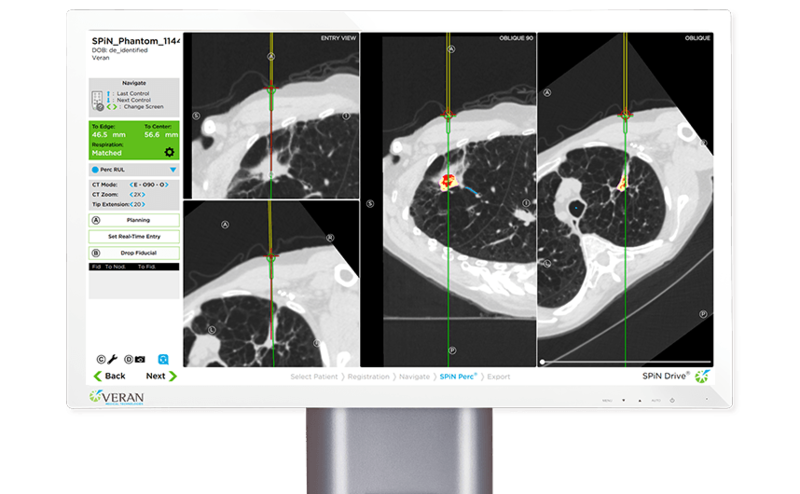 By transcending current procedural limitations of bronchoscopy, SPiN Perc™ helps you speed time to diagnosis and get the answers you need. 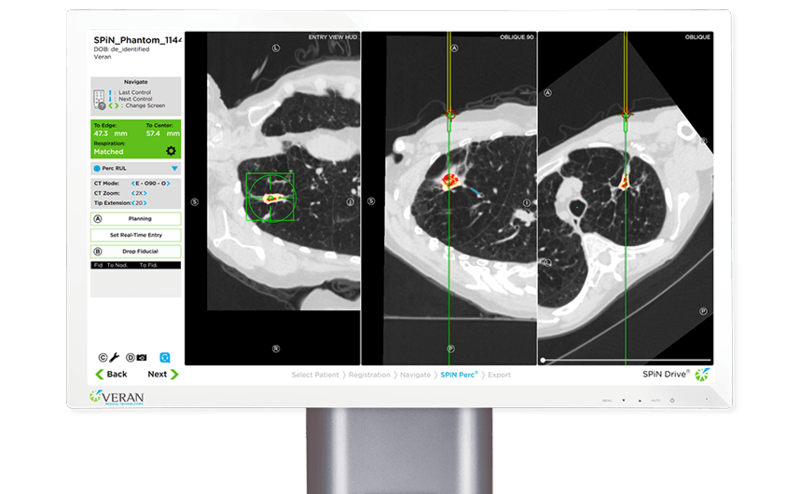 SPiN Perc™ empowers you to choose your approach, and reach challenging targets—like the 40% of peripheral lung nodules that lie outside the airway1,2—percutaneously. 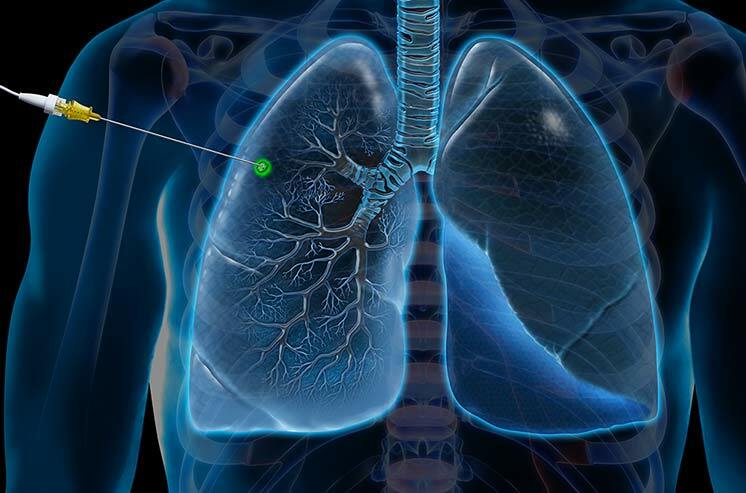 SPiN Perc™ helps you locate and reach nodules when no bronchus sign is present. 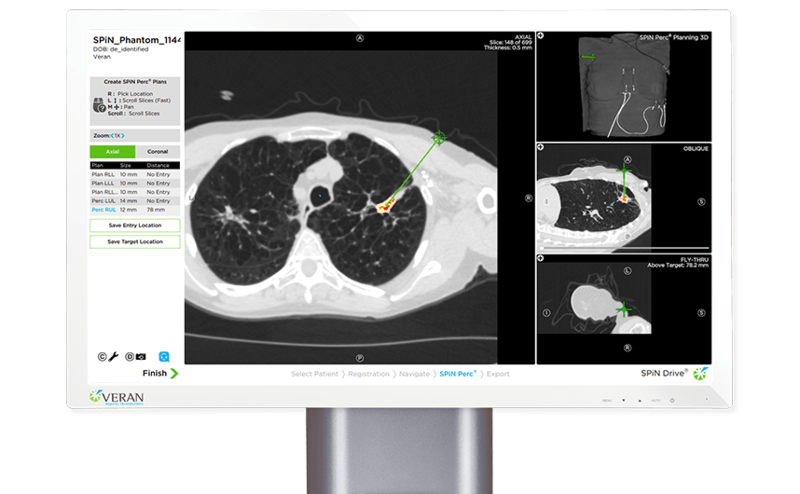 Use SPiN Perc™ to seamlessly transition from Navigated Bronchoscopy to Navigated TTNA in a single procedure, and capture even smaller nodules in the periphery of the lung—all while accessing the shortest path to the target. 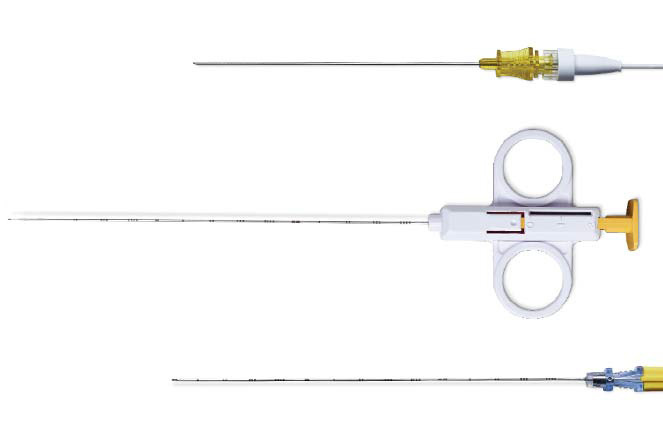 Dr. Wissam Abouzheib, Cooper University Hosptial, utilizes SPiN Perc™ to diagnose Stage 1A Cancer and place fiducial markers. Naidich DP, et al. Solitary pulmonary nodules: CT bronchoscopic correlation. Chest. 1988.